Belle's Enchanted Christmas Gown- Fabric HELP! 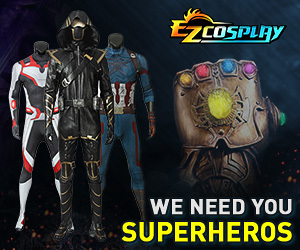 Help me Cosplay.com your my only hope! After years of Re-Faire costumes, various Steampunk costumes I have dipped my toes into Cosplay. After the happy success of Agent Peggy Carter (my roommate) and Agent Melinda May (ME!) Cosplay Team up at the last con. I've set my sights on a dream costume. One of Belle's gowns from Beauty and the Beast. After boggling over how in the heck to make the gold ball gown and reviewing various park versions, broadway versions and other cosplayers I stumbled upon the Simplicity's Pirates of the Carribean for Elizabeth's yellow/gold dress from the first film. "Hey! Make that dress burgandy and you have Belle's Enchanted Christmas gown!" And that's when the Rabid Cosplay Plot Bunny lunged out of the underbrush and latched onto my neck... Much simplier in design than the gold gown, and not a common costume so I'll stand out among the various Belles. No problem! Reviewing the doll, and the photos of the Face Character in the Parks, the gown is made from Gold brocade (which I already have in my stash by some miracle) and crushed Burgandy/Wine velvet. I'm having a DEVIL of a time trying to find that velvet! I found one place that had a light weight upholstery grade crushed velvet in the right color, but they have been out of stock for well over 6 months, so I need another source/fabric. Paene Velvet is right out as it looks cheap and I'd have to flat line the heck out of it in order to make it work. Silk velvet is an option, while not crushed will give that textured look not look as flat as cotton/poly velvet and most likely what the gown would have been made from in that time period, but...my wallet is screaming at me at 25.00 per yard (I need at least 6 yards of 55" width- or 10 yards of 45" width). Found a source for silk velvet at 10.00 a yard...but it's white and will need to be dyed. Roommate has already said that she will be out of town on the weekend I plan to dye the fabric because she doesn't want to be present if it all goes pear shaped. SO I turn to you all, anybody ever try this costume? And if so where did you get the velvet? Or do you all have sites/sources I haven't hit yet? I've tried Amazon, Ebay and at least 4-5 online fabric shops. HELP! You said that you hit several online shops, but have you considered getting a swatch of [URL="https://www.fashionfabricsclub.com/p148799_37536-maroon-flocked-velvet"]this "maroon" velvet[/URL]? I don't typically go in for poly, but if you hate cotton velvet and the budget has vetoed silk, I think poly or acrylic are your only options. You could also try your luck on etsy ([URL="https://www.etsy.com/listing/198903205/upholstery-grade-solid-flocking-velvet?ref=sr_gallery_17&ga_search_query=velvet+fabric&ga_ref=related&ga_page=1&ga_search_type=all&ga_view_type=gallery"]an example[/URL]); I am often surprised at how many crafting materials are sold alongside the crafted items I thought the site was designed to sell. By the way, I want to be sure you're not ruling out normal velvet that you can crush yourself; I didn't see you mention it, so I wanted to be sure you weren't narrowing your search based on that. It's got enough weight and structure to it to work for the bodice with minimum flat-lining and heavy interfacing, but enough drape so the skirt won't look like a stiff board. Some of the other velvets are to lightweight, and will need heavy structure support and flat lining to work without driving me insane. It's 'crushed' not in the angle that the pile is flattened but that it's 'wrinkled' I haven't figured out how to crush the velvet to get that particular effect. I've done velvet embossing before and the silk/rayon take the process the best with the most lasting results, some of the poly/cotton blends looking good at first then the pile recovers to a degree and you are back to square one. I'm open to trying to wrinkle it, but no idea how to so that to say 6-10 yards at ONCE. [URL="http://www.kennythepirate.com/wp-content/uploads/2014/01/walt-disney-world-epcot-akershus-royal-dining-princess-character-meal-belle-in-christmas-dress-3.jpg"]Here's[/URL] a photo of the Parks' Face Character in the dress. So the velvet is less 'crushed' and more 'wrinkled'. There is a sheen on the velvet that makes me think at minimum it's a silk/rayon velvet to get that luster. Poly/Cotton velvets sometimes look flat when next to Silk/rayon. And it's defiantly NOT a 'plain' velvet it's got some sort of texture on it. It's a light weight Upholstery, so it's got enough body to it so I can make the bodice with light boneing and minimum flat lineing, but it's still got enough drape for the skirt so it's not a board when gathered at the waist. I am thinking of trying to get the crushed/wrinkled effect but two things are slowing me down. One I have no idea how to go about getting that effect, let alone on the 6-10 yards of velvet I'll be using for the dress, doubly crazy if I have to dye the silk velvet. And second, I know Velvet embossing effects and while they can be consistant on silk/rayon...it's hit and miss on the poly blends with the pile recovering hours or weeks later. Seriously I saw it happen on a noble gown we were working on from red velvet, we embossed it all over and were prepping for painting and embellishments when we noted the first areas we embossed, the pile had ALREADY recovered. I've ordered a few more stacks of samples from various other online shops, in a hunt for a back up plan. I might have to swallow my pride and plan for the silk, but thought I'd hit people up here for other ideas.